Out of the box comfort at its finest! Available in four colors this season, these are phenomenal. Cute enough for the office or weekend adventures, these feature a fantastic footbed and adjustable velcro ankle strap. A great fit for those with a wider foot, these are one of those shoes you'll want multiple pairs of! Classic, chic, and coveted: These espadrilles are a must-have. Available in three different color combinations, these are crafted on a cushioned footbed, mid-height wedge, and feature an adjustable ankle strap. Pair with just about anything! New, early Spring 2019 arrival! Crafted in Spain with black and lavender suedes, these wedges are perfect for those special days and moments. 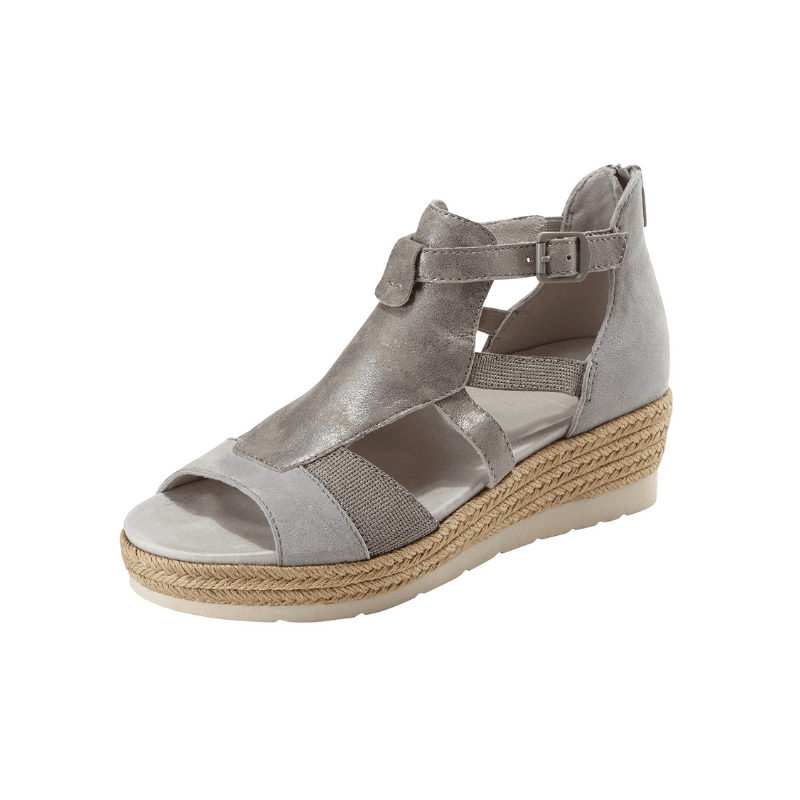 Featuring a suede-wrapped buckle and ankle strap, these look amazing with sundresses! A great classic for everyday, these peeptoe espadrille slingbacks are crafted in a soft suede with contrasting leather piping. A cushioned footbed provides comfort right out of the box. 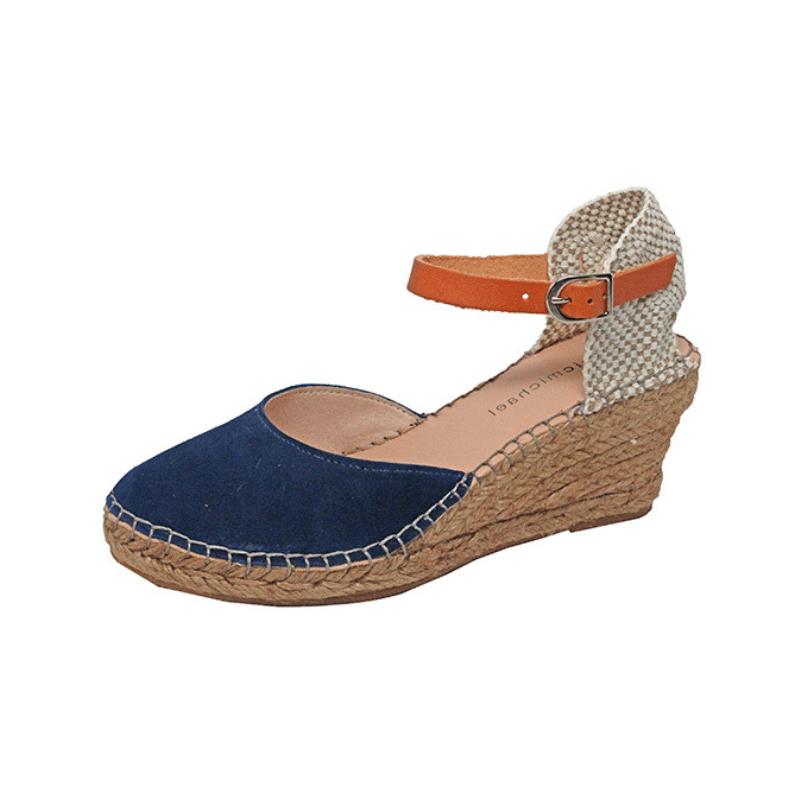 An excellent choice for sunny days, these cute wedges evoke memories of days gone by. Pair with everything from cropped denim to cotton A-line skirts for a look that is put together and comfortable all the same. A great suede sandal for everyday, these dress up or down with ease and are wonderful for our Southern California seasons. Available in two different colors, these low wedge espadrilles are crafted on a cushioned footbed for the utmost in comfort. 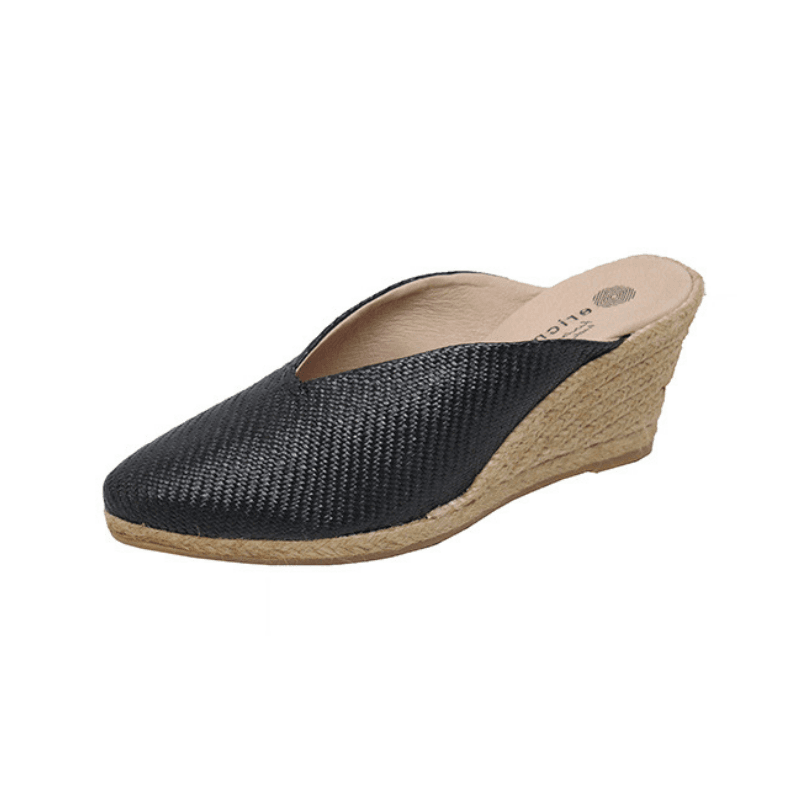 A really pretty shoe on the foot, this peeptoe mule is crafted on a low, espadrille wrapped wedge and features a soft, leather lined suede upper. Incredibly easy to wear for a myriad of events, these fun sandals are worth it! Bohemian chic, these woven wedges are crafted in Spain and feature a cushioned footbed and an almond toe with a V-shaped vamp for an elongating and slenderizing appearance. Pair with your favorite summer slacks and straw hat for a cute and comfortable winning combination. A great sandal for the lady who likes a platform! 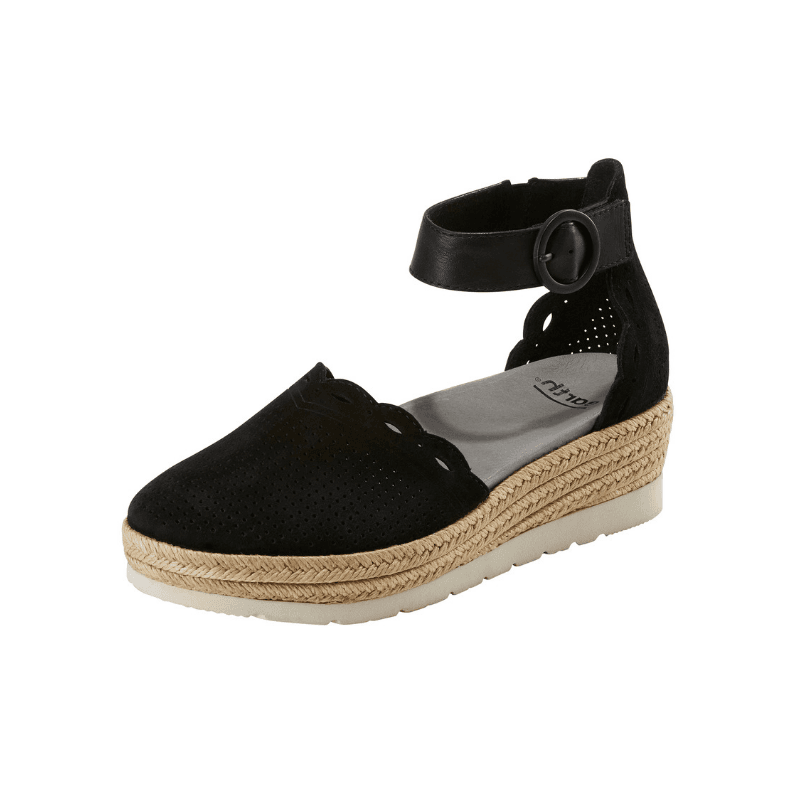 Crafted in two neutral color combinations, these feature a rope wrapped espadrille wedge, cushioned footbed, and adjustable buckles.